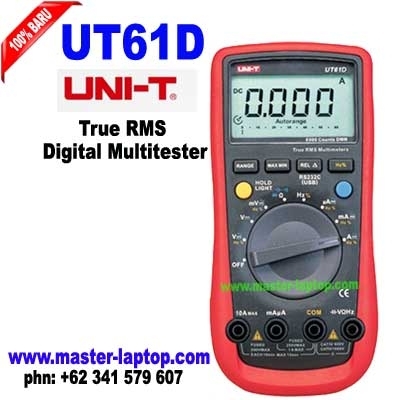 The UT61D is a professional workbench TRUE RMS Digital Multimeter equipped to handle the most basic jobs to more advanced applications from a wide range of professional industry to electronic hobbyists. It's clear and crisp LCD gives a better readout even under the bright outdoors or from any angle perspective. The extra digit output reading also gives you a more precise measurement which is exceptional for a meter in this value price range. It has a wrapped around red rubber holster for easy grip and to protect it from unexpected knocks and falls. Data Hold: Press once to hold reading or press a few seconds for Auto hold function.